Children’s Centres are a national initiative providing local ‘one stop shops’ for all the services needed by children, particularly young children, and families. 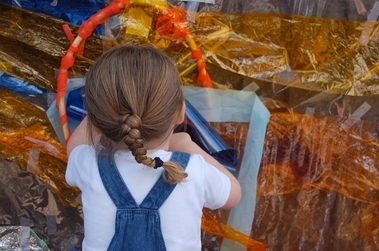 The project sprang from the belief that children and families need, and have a right to, creative and cultural activity and worked to increase creative opportunities for children and families, throughout the South West. Three artists worked with three 'constellations' across Somerset - a digital and visual artist, a dance and movement practitioner and a theatre and movement artist. They worked as part of the team, reflecting on their practice and collaborating with the arts and Early Years contacts across the county to make the best work happen. 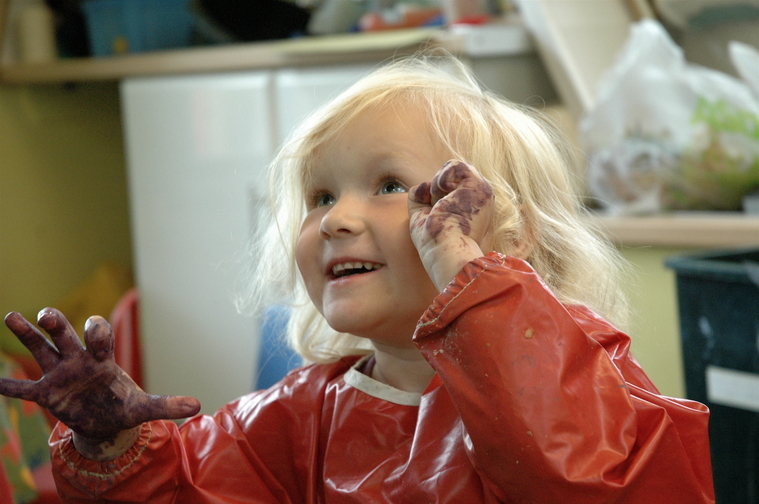 The aim of the project was to explore and define the role of the Lead Creative Practitioner. This knowledge informed development of the role across the county and nationally. 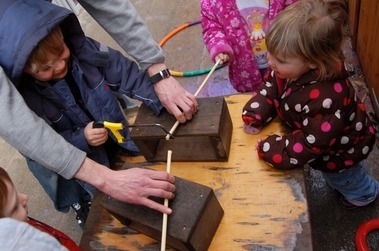 A central part of the Lead Creative Practitioner's role was the development of links between Children’s Centres (including their children, families and staff) and the arts community (artists, local venues and arts organisations), in order to raise the quality and quantity of creative arts and cultural engagement. Dr Susan Young, of the University of Exeter, evaluated the project to maximise Little Big Bang's potential to inform national practice. Little Big Bang was supported by Arts Council England, Somerset County Council and Paul Hamlyn Foundation.